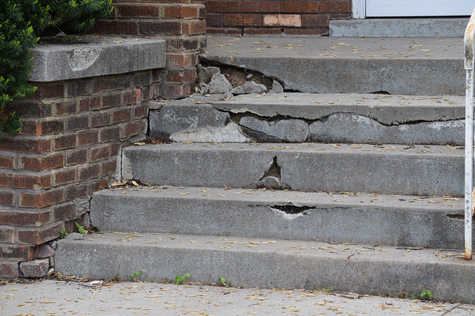 If your property has been damaged as a result of soil and/or earth movement and your insurance carrier is denying coverage for your rightful claim, you likely feel confused, angry, and betrayed. We understand. At Angotti & Straface Attorneys at Law L.C., we have over 66 years of combined experience protecting the rights of insured property owners throughout West Virginia. Since 1952, we have witnessed extremely troublesome claim denials from insurance carriers. At our law firm, we have extensive knowledge of insurance law and how it applies to your case. Although earth movement exclusions were designed to insulate insurance carriers against financial failure due to catastrophic, widespread incidents, we are increasingly witnessing insurers denying coverage in cases where the earth movement exclusion does not rightfully apply. Based on an Earth Movement Exclusion? The earth movement exclusion was implemented to exclude catastrophic, widespread natural events, such as volcanic eruptions and earthquakes, from standard property insurance policies. However, it is important to note that the earth movement exclusion was never intended to allow insurers from excluding coverage for losses caused by unnatural events, such as those directly and indirectly caused by the activities of man, such as mine subsidence and construction-related soil subsidence. Following increasing claims for unnatural events, insurers began denying claims for limited earth movement damage caused by non-catastrophic unnatural events, as well. The historic intent of the earth movement exclusion was never meant to preclude anything other than natural catastrophes. When an insurer attempts to avoid paying a valid claim by utilizing unethical tactics, we fight them with the full force of the law. Our attorneys are aware of the tactics that commercial insurers use to deny rightful insurance claims, and we will fully investigate all aspects of your claim to present the strongest possible case. We will examine the precise language used in your personal or commercial insurance policy and analyze it in respect to your claim. Contact us for a free confidential consultation to discuss your claim at: (304) 292-4381.